Somewhere in America, Lea Michele’s agent is ignoring her phone calls and blocking her number because honey, the Wicked movie is happening...in two years. Forbes reported Friday that the long-awaited film adaptation of the blockbuster Broadway musical will fly into theaters on December 22, 2021. Universal/Comcast’s adaptation was originally slated for release on December 20, 2019 but was then pushed back, with the Cats movie (featuring an absolutely bonkers cast including Taylor Swift, Judi Dench, Jennifer Hudson, and Idris Elba) taking the coveted Christmas spot. Wicked will go up against James Cameron’s Avatar 3 for the Christmas box office haul, unless that gets pushed back again. The Wicked movie will be directed by Billy Elliot’s Stephen Daldry, with Broadway composer/lyricist Stephen Schwartz and book writer Winnie Holzman returning to retoole the screenplay. While Wicked’s release date is now definite, and there’s still no casting news. 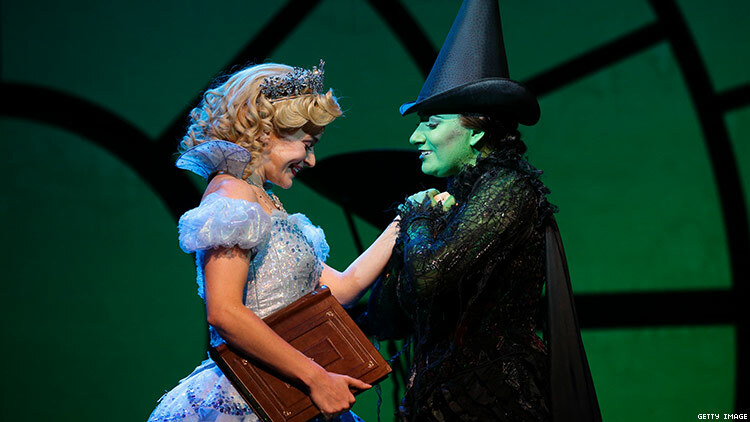 Obviously everyone who has played Elphaba and Glinda on Broadway has...aged out of eligibility, and despite Ariana Grande’s stellar performance of “The Wizard and I” I want her as far away from this as possible — she doesn’t have the (acting) range. But I have a few suggestions, obviously.